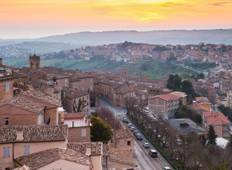 Find the right tour for you through Offida. We've got 8 tours going to Offida, starting from just 3 days in length, and the longest tour is 9 days. The most popular month to go is June, which has the most number of tour departures. "We could not speak highly enough of our experience overall. 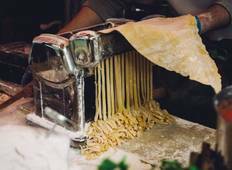 The highlights for us..."
"The first night I ate a handmade truffle and cream pasta and I am still thinking..."
"Our Epicurean tour was nothing short of amazing. Our guide came to the airport to..."
"I am still amazed about our first cooking class. It was in a 300 year old villa...."